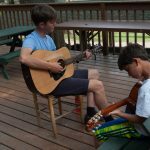 At camp, if someone is not playing a guitar, there is likely one nearby. 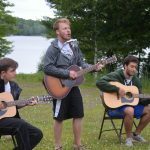 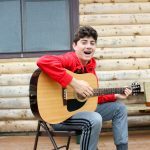 Many of our campers and staff bring their own guitars to camp and enjoy playing in their cabin, around the campfire, or during a Friday Night Service. 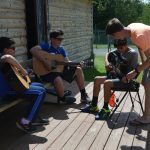 Beginning players begin by learning the basic chords and progressions, and more experienced players build on their existing skills and learn new music. 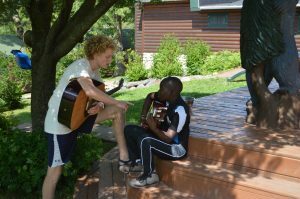 Campers of all skill levels enjoy learning new music with their friends on the Guitar project.